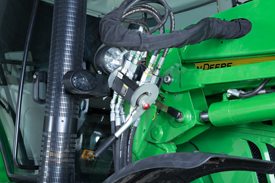 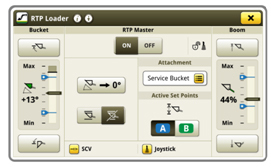 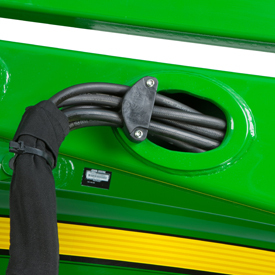 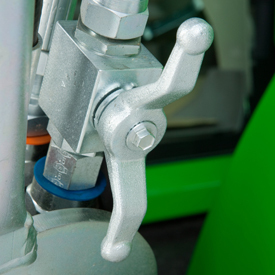 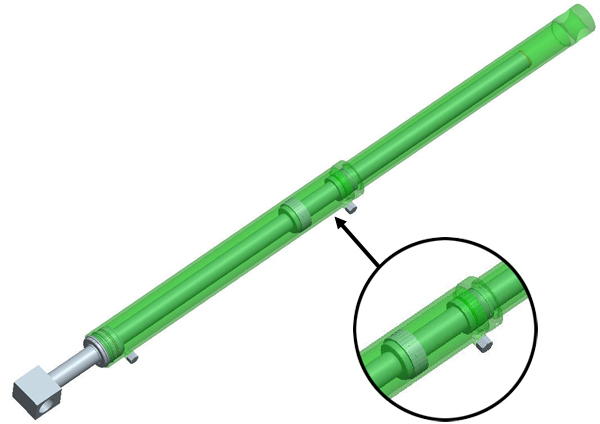 Mid-mounted quick-couplers offer growers an economical approach to powering loader hydraulics. 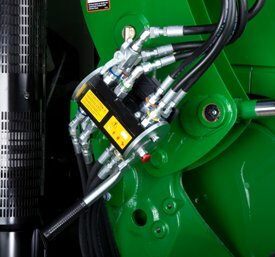 Hoses run from the tractor mid valve to the mounting frame where there are individually connected to the loader hydraulic hoses. 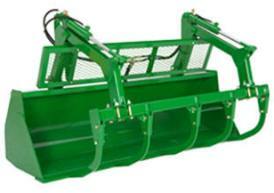 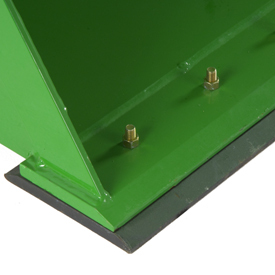 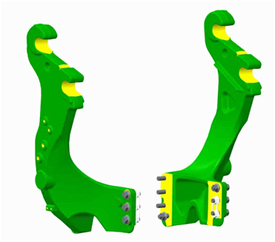 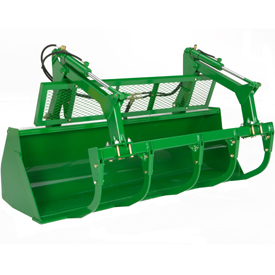 Mounting frames are designed to evenly distribute forces during loader operation. 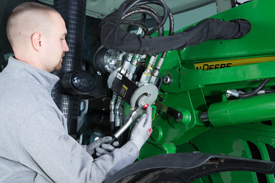 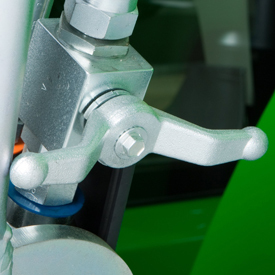 Hardware is accessible to torque to the correct specifications. 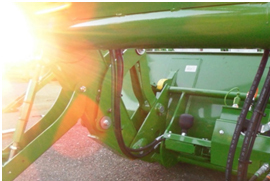 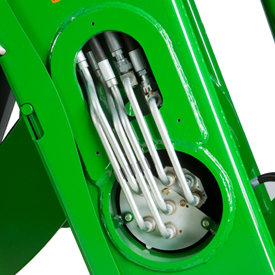 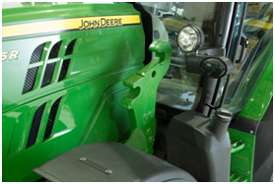 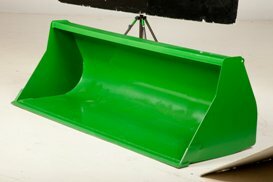 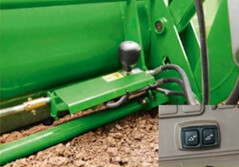 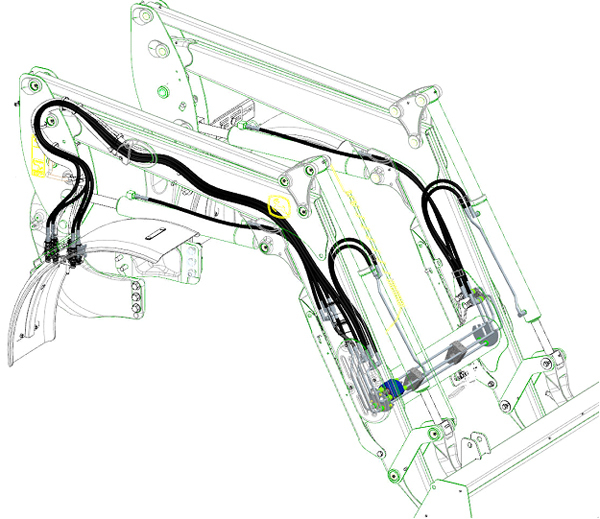 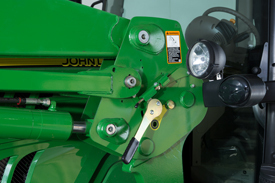 The redesigned mounting frames ensure the automatic mast latch system can slide onto the frames to allow for mechanical connection between the loader and tractor.